Silk shoe inspired by Eliza Lucas Pinckney’s brocaded shoes. 2018. 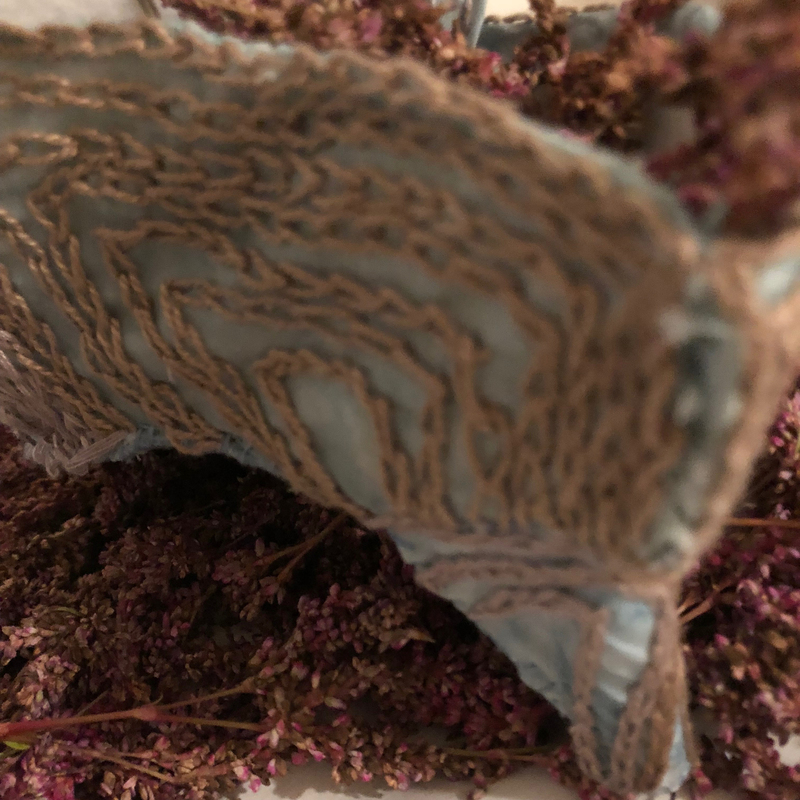 Embroidery on indigo-dyed silks sitting on a bed of Japanese indigo flowers going to seed. Note: the flowers are not dye-producing. It’s the leaves from which dye is made. Eliza is considered in common historical literature the “American mother of indigo.” She persisted in planting tropical indigo seeds her father sent from British Antigua. Some contest this attribution of indigo’s success to Pinckney. While she played a role in promoting indigo expansion, giving seeds to neighboring plantations, enslaved laborers tended the crop and produced the dye, a labor-intensive, time-sensitive and rarefied process requiring specific skills and knowledge. Indigo dye production from leaves remains a boutique activity. How was it ever successful as a cash crop and export item to Britain? It’s hard to assuage my hands-on experience with the plant, the improbability of relying on nature with its whims, mysteries and sudden changes to reliably produce consistent dye results. But somehow, indigo pigment production was systematized through slave labor in the South in the mid-1700s. 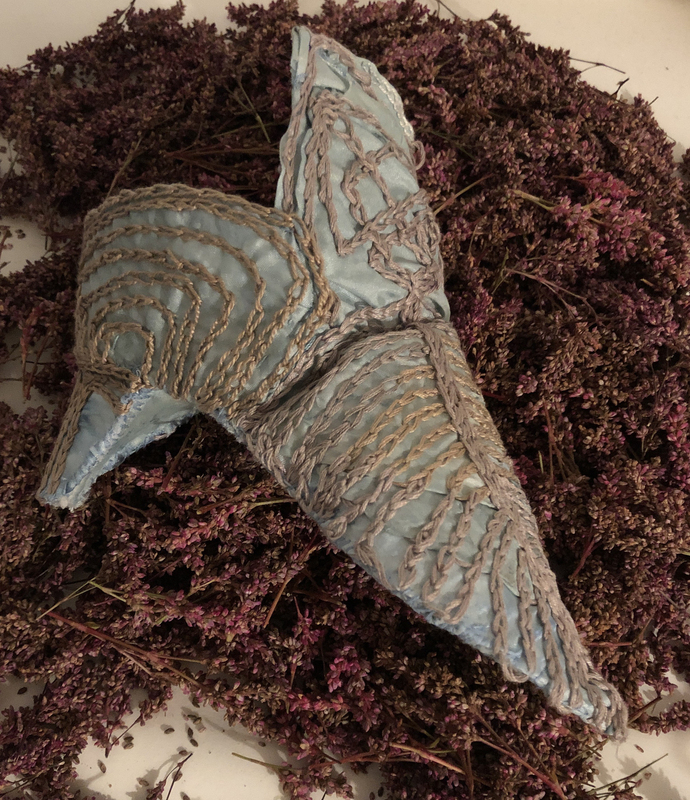 The back of the shoe and Japanese indigo seeds. 2018.